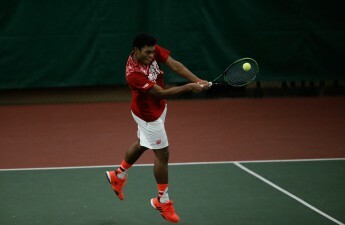 The University of Wisconsin men’s tennis team is slated for a decisive showdown against No. 33 Penn State Friday night, followed by yet another Big 10 battle against No. 5 Ohio State Sunday. These will be some of the team’s final opportunities to build some momentum going into the postseason. 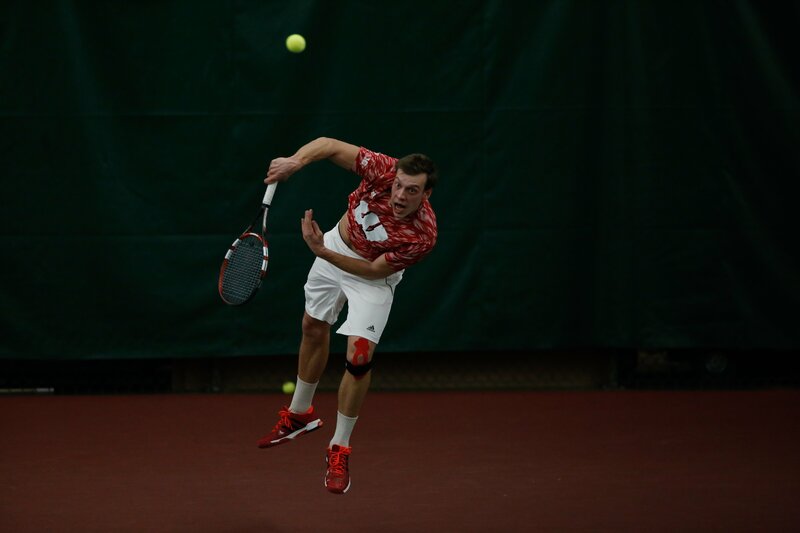 But for Jakhongir Jalalov and Alexander Kokorev, the two lone seniors on the UW men’s tennis team, this weekend marks their final opportunity to defend the home court as student athletes at Wisconsin. Both believe they’ll have mixed emotions in their final moments at Nielsen Tennis Stadium, but Kokorev said he’ll definitely miss the team he’s spent the past four years with at Wisconsin. While this weekend may seem like the end to a chapter in their collegiate careers, Jalalov and Kokorev instead see it as the beginning of a new one. For Kokorev, he plans to continue to build on the positive life-long impacts that have come as a result of being on this team. Even though their paths to UW were unmistakably different, their love for both tennis and the UW are movingly similar. Jalalov’s hometown of Tashkent, Uzbekistan sits more than 6,000 miles away from Wisconsin’s campus. Shortly before coming to UW for the first time, Jalalov admitted he couldn’t even point out the Badger state on a map. Kokorev, a native of Dilbeek, Belgium, embarked on his journey to UW after weighing more than 20 offers to play collegiate tennis across the United States. 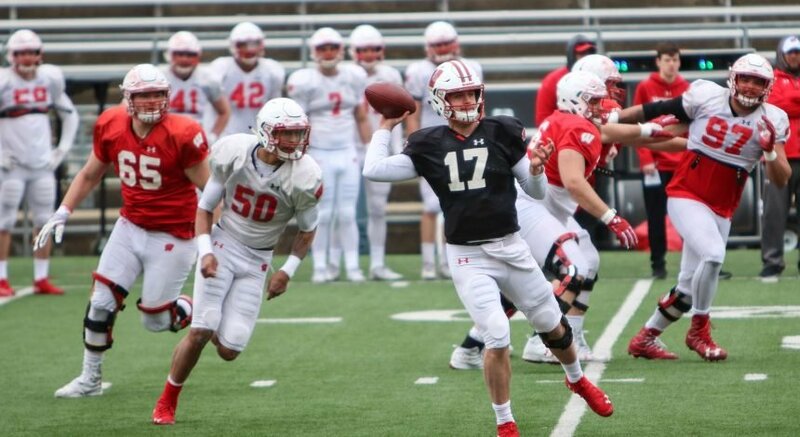 He was confident coming into school, but quickly learned it was going to be a process before he regained the prominence he had in his pre-college career. Kokorev used this humbling experience to learn an important life lesson, and as a result he built a more solid work ethic as an individual. While both players improved on the court over their four years at UW, their biggest takeaways as seniors has been how they’ve grown off the court. Jalalov doesn’t feel like he could have grown the way he did in the last four years anywhere else.